I hope you had a great long weekend! I spent a lot of mine wrapped up in a blanket by the fire trying to get rid of a nasty head cold. I'm still not 100% but as the saying goes, "The show must go on!" LOL. 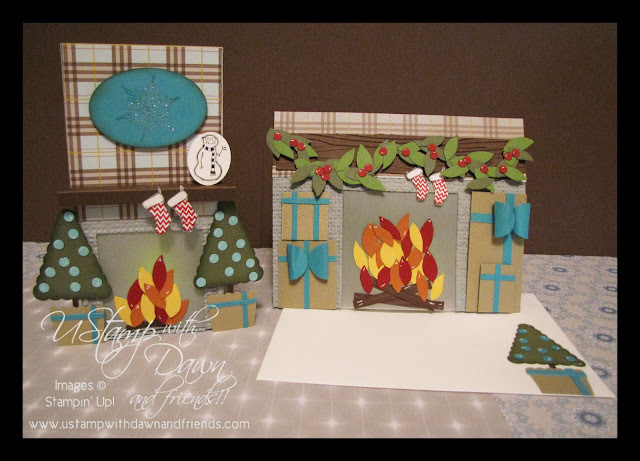 Speaking of fireplaces, today I'm sharing the 3rd of 4 creations I made for U Stamp with Dawn, Knockout Punches. 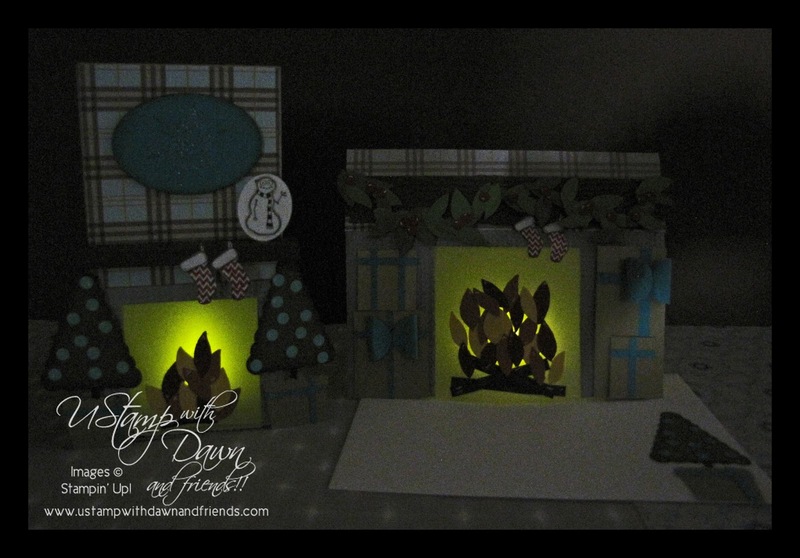 I love the way this little fireplace scene turned out! I really should post a video of it with the tealight turned on - it actually looks like the fire is flickering! As I've mentioned before this round focuses on Stampin' Up! punches (every last one in the catalogues in fact!) so if you love punch art as much as I do or would like to give it a try with a little guidance just head over to www.ustampwithdawn.blogspot.com. There are only a few days left in this session and then we get busy designing for the next, due to go live at the end of this month! Until then I have lots of Holiday projects to share with you, so keep checking back or leave your email under the "Follow by Email" tab and all updates will be sent directly to your inbox! Have a great day!